Please tell me you struggle with this too. We are firmly dedicated to letting go of the anxiety that comes with a situation, and before we realize it our devotion begins to wane. 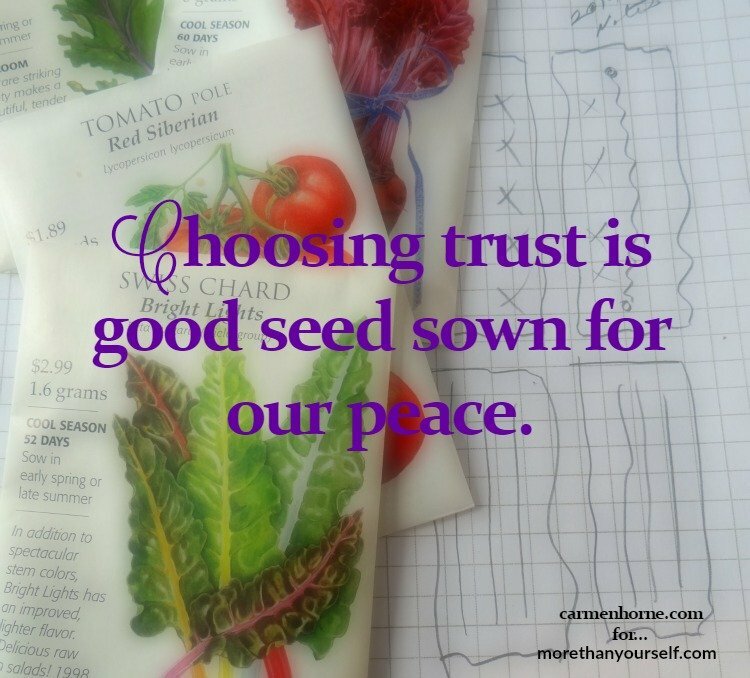 Read more of my post at my friend, Kristine Brown’s – More Than Yourself Ministries and let’s talk about some ways to choose trust. Kristine’s ministry, More Than Yourself, Inc. is designed to support women in their spiritual lives, offering practical teachings mixed with real-life stories. The goal of the ministry is to share a message of contentment over comparison, and to encourage the next generation of women to do the same. Winning the battle over comparison sets us firmly on the unique path God created for each one of us. More Than Yourself, Inc. supports young women by hosting a scholarship program for junior high girls. More information about the scholarship application process is made available on this website each fall. Choosing to trust God in Trials and temptations gives us victory! Friend I’m headed over there to read the rest. Hey Ifeoma! Yes ma’am. Victory! Trusting God is daily for me, and I have to make that decision. I either let God lead my day, or I think, “I can do this today, I will show God how strong I am.” But in reality I need him no matter how I feel. Thanks for reminding me of putting my trust in him continuously! Daily for me too Whitney. Every day, all day, we choose. Thanks for stopping by for a visit!